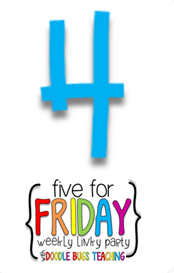 My First Five for Friday Linky! 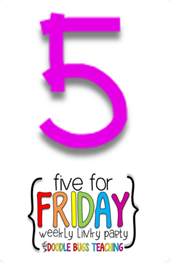 I love reading other people's Five For Friday posts. 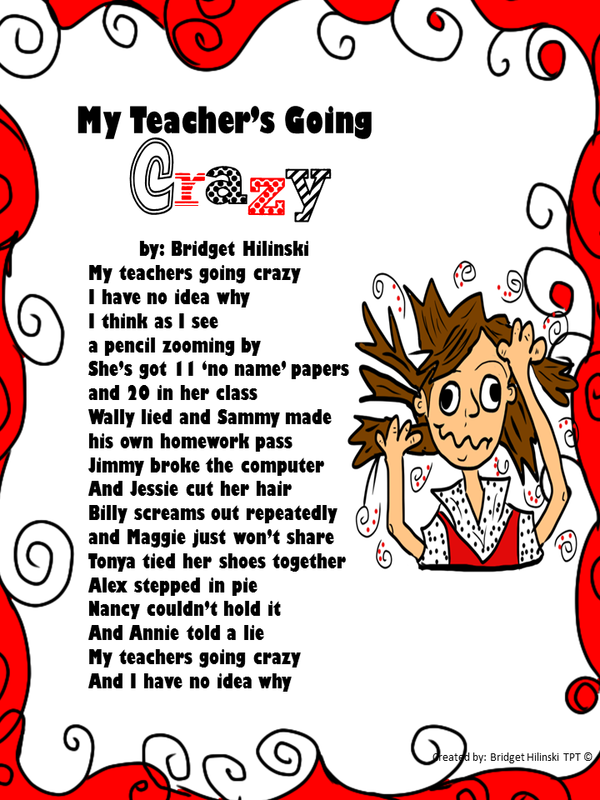 A lot of times they involved something funny happening and I love funny classroom stories! 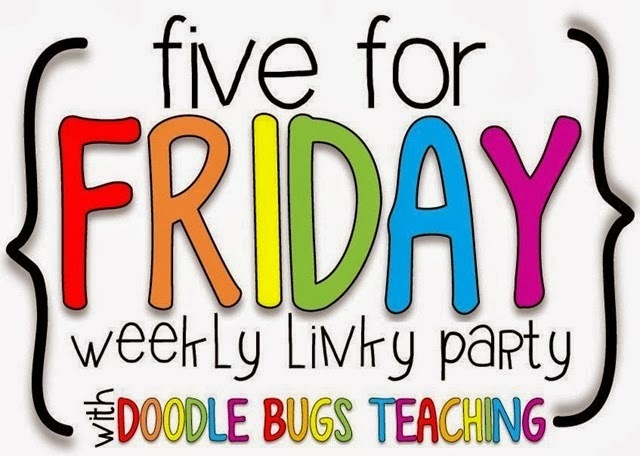 So today, I am finally linking up with Doodle Bugs Teaching for her Five For Friday Linky Party! We have been learning about apples all week. We made torn paper apples and I am in love with them! I love how different they all look. They also had to cut the sentence apart, put it back together and read it to me while pointing to each word. Great concept of word activity! 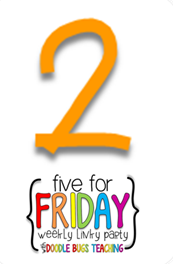 We also talked a lot about Johnny Appleseed this week. During inside recess (because it has been raining here 2 days straight!) one of my students decided to draw a picture of Johhny Appleseed on the chalkboard! Don't you just love when students really get into what you are teaching??? I love that feeling! My last thing doesn't have anything to do with teaching...My mom came in town to visit me from Tennessee! I am so excited to spend the weekend with my family! What a "Shapely" Start to the Year! One of the first units I teach every year is a shapes unit and my kids always love it. Something about how shapes are so simple and yet they can be put together to make so many things is such an intriguing idea. I always read Mouse Shapes by Ellen Stoll Walsh as an introduction to this lesson. If you haven't ever read it, you should! It is an adorable and funny story about how these little mice used lots of different shapes to create pictures to scare away the big cat! Then I give my students black paper and lots of different shapes and encourage them to use the shapes to create a picture of their own, just like the mice did! This is one of my favorite things that we do all year. I love how creative little Kindergarteners can be. I also teach Bus Safety at the same time which is perfect because we get to make these super cute shape buses! Another shape activity I did was have my students trace different shapes on a piece of paper and then they have to count and write how many of each shape. This was difficult for them but such a great fine motor activity and also a great assessment to see who really knows their shapes. I finally took pictures of my classroom this year. I made a lot of changes from last year and I wanted to wait until I had everything the way I wanted it before posting pictures. I absolutely love my classroom this year. It is so important to make your classroom a place you love to be...especially since we spend SO much of our time there! I have a frog themed classroom, but I also incorporated a color scheme. Green of course, as well as yellow, pink, purple, and turquoise. Here we go! The first few pictures are whole classroom views from different angles. This is the view from the door into my classroom. I love how my fabulous pink and green curtains paired with my word wall and Dr. Seuss quote are the first things you see when you walk into my room. This is the same side of the room, it just wouldn't all fit in the first picture. This is the view of the other side of my classroom. Again, same side, just wouldn't all fit in the picture. I did all of my bulletin boards with the same color paper and same border to be consistent and create unity. I love the way they turned out! I also used the same border on this wall to create a place to hang our "TOAD-ally Terrific Work"! I simply hot glued the border to the wall and then hot glued frogs with each student's name on it to the clothespins and then hot glued those to the border! A lot of hot glue but it is holding up so far! Next, I love to decorate some of the empty space on my walls with quotes from my favorite children's books. This quote is right next to my classroom library which is perfect! This is my classroom library which I spent a lot of time re-organizing this year. I do not put all of my books out at once because I just don't have room so I switch them out depending on season/theme. This is my desk which I love and I actually do spend a lot of time working here so I have to keep it clutter free! My teacher toolbox which I posted about earlier this summer and I LOVE it! I don't know how I lived without it. One of my many little frog friends I have sitting around the room and my craft book on display! My "No Name" clips which I must say have papers hanging from it way too often! That is the end of my classroom tour! 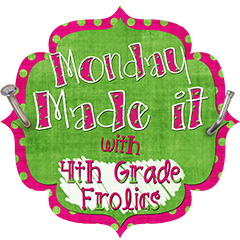 I hope you enjoyed looking at it and maybe even got some ideas you can use in your classroom! I have been so busy these last few weeks! I went to Memphis to visit my family and then since I have been home I have been hard at work getting things ready for school...okay and going to the pool! 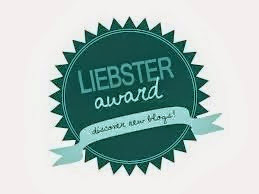 I am super excited to share two things I have been hard at work on. The first is my teacher planner. 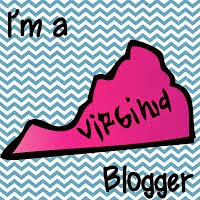 I really wanted to use one of the super cute ones I had found on TPT but none of them fit my needs exactly so of course I had to do it the hard way and make my own. I'm very happy with it though because it is perfect for me and it is still pretty cute if I do say so myself! I found these super cute chevron binder covers on Pinterest and they are free on TPT from A Year of Many Firsts ! They are editable and they are my favorite thing I've pinned this summer! So cute! I bought these fabulous dividers at Target that match perfectly! Okay so inside the planner we go! My first tab is "Class Info". This is where I keep my class lists, birthdays, parent communication log, and username and password list ( I can't keep track of all that!) I made the parent communication and passwords forms but I got the cute birthday paper from the Teaching Fashionista. My next tab is my calendar. I also downloaded this for free on TPT from Teaching in a Small Town. My next tab is for my To Do lists. I LOVE lists. They keep my brain organized and there is nothing I love more than checking off something on my to do list!! Along with my daily/weekly to do list, I have also made a monthly refection sheet where I look back on who needs to be retaught, if the whole class needs to be retaught something, if a conference needs to be scheduled, and if there are any supplies I ran out of or need. I did not have this last year and I SO needed it! Finally I have tabs for my SOL's and report card information. At the very back I put a folder that happens to match my dividers and it opens so there are 3 places to put papers in! I was so excited when I found this at Target as well! Okay the next thing I made this week is a sticker organizer! I SO wish I could take credit for this amazing idea but I can't. I got the idea from Miss Kindergarten a looooong time ago and it seemed like such a daunting task so I kept putting it off. Well that was silly because it was really easy! The teacher before me left MANY stickers...all jammed into this one bag! Eeek! So I went through every single sheet of stickers, decided if I wanted to keep it or throw it out. I put them in piles and labeled them with post-its. Then I put each stack into a sleeve in this over-the-door shoe organizer (now sticker organizer)! Next I made, printed, and laminated labels. Then I punched a hole in the label as well as at the top of each sleeve and tied the labels on with ribbon! Done! The first two rows are all organized by month/theme. So there you have my Monday Made Its! 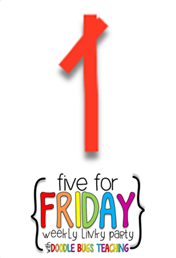 I can't wait to see what everyone else made!